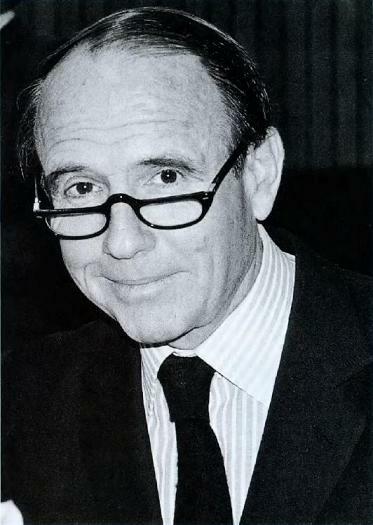 Described as “a citizen of the world,” Prince Sadruddin Aga Khan (January 17, 1933 – May 12, 2003), became the longest serving head of UNHCR, the United Nations Refugee Agency. Morals, ethics and tolerance along with improving the lot of humanity was the essential part of the credo of the late Prince, son of the 48th Ismaili Imam His Highness Sir Sultan Mahomed Shah Aga Khan and uncle of the present Imam His Highness Prince Karim Aga Khan. The late Mohezin Tejani, an award winning Ismaili author and veteran at Writers Festivals on the Asia circuit as well as a long serving humanitarian himself, wrote this letter a few months before he passed away on New Year’s Day in 2013. Mo’s appreciation and deep-felt gratitude to Prince Sadruddin is clearly felt in this special letter he wrote as part of Simerg’s special series on letters thanking Ismaili historical figures. As Ismaili children growing up in East Africa, we were taught by our parents and the Ismaili community at large that “seva,” our own Islamic version of volunteerism for the needy, was not only a worthwhile virtue to practice but an essential part of becoming a moral human being. As children, we saw our elders working as dedicated volunteers to help the elderly, provide home care for the sick, and cook free food at mosque functions – all as examples of human compassion. For me, as a 10 year old boy growing up in Ismaili community in Kampala, Uganda, that translated into unconditional respect for my aging parents and making sure that all their comfort needs were taken care of at home and at crowded community functions such as Imamat Day, the Salgirah and Navroz. This contagious “seva syndrome” is also what prompted me at school to befriend an ostracized classmate who had a stuttering speech problem as my closest ally for the next ten years. It is no wonder then that as an adult, after the Idi Amin expulsion of 80,000 Asian from Uganda, I ended up working in humanitarian work worldwide for the next twenty years. At that time, working hand in hand for five years with UNHCR staff on Vietnamese/Khmer Laotian refugee programs in refugee camps in Thailand, Indonesia and the Philippines, I understood and felt first hand the full impact of your vision especially when UNHCR went on to win the Nobel Peace Prize in 1981 for its humanitarian work. This is when you became a role model for me and my refugee work, having been one myself from Africa just less than a decade ago. A humongous thank you for being my inspiration to continue working in the humanitarian field when many of my friends and loved ones never really understood my work in wanting to help the less fortunate of our planet. I lament the time that you were nominated and passed over twice for the post of UN Secretary-General. Although you won the 1981 vote, the Soviet Union considered you too Western and vetoed your election. When you were nominated again in 1991, the United States and Britain expressed their disagreement with your belief in a policy of boosting aid to Iraq. Surely, one day soon, history will expose the folly of those power-hungry megalomaniacs who continue to carve up our gorgeous spinning globe into territories of greed and conquest. In this regard, the consequent history of the UN and its achievements over the next three decades speaks for itself. Despite the overwhelming odds facing your humanitarian vision, as a global citizen (born in Paris, raised in Europe by a French mother and the 48th Imam of the Ismailis, was educated at Harvard and became fluent in numerous languages), you went on to promote various other planetary causes, close to my development work, in your later career. As a champion of the environment, it was your vision that created the Geneva-based Bellerive Foundation “which promoted the conservation of the earth’s natural resources and protection of all life forms and the environment. In developing countries, the foundation encouraged tree conservation and tree-planting activities, reduction of fuel wood consumption through dissemination of fuel-saving domestic and institutional cooking systems, and education on tree and fuel wood conservation through children’s programs and women’s groups.” In recognition of this initiative, you received the World Ecology Medal from the International Center for Tropical Ecology of the University of Missouri-St. Louis at a ceremony in April 1993 in Washington D.C. Yet, you are just as fondly renowned with conservationists the world over for the courageous successful campaign that you personally launched against the French industrialists to save the Madagasar monk seal from extinction. Over the course of half a century, in your fervent desire to promote Art and Culture, you assembled one of the finest private collections of Islamic art in the world and became a knowledgeable and respected collector, accumulating a priceless collection of paintings, drawings, manuscripts and miniatures. Over the years, parts of your collection were exhibited in New York, London, and Zurich, including a touring show, “Princes, Poets and Paladins”, which was organized by the British Museum in 1998, and attended by several members of your family, including your nephew, Prince Karim. You will be thrilled to know that your full collection will soon be housed at the new Aga Khan museum being established by him in Toronto. It comes as no surprise then that during your lifetime, numerous countries recognized your multiple achievements by honoring you with doctorates and national decorations from states as diverse as Pakistan, Poland and the Vatican, as well as presenting you with the United Nations Human Rights Award. Know that your legacy lives on into the 21st century as we, as fellow Muslims living in a turbulent post 911 world, strive to present your life achievements as a shining example of a courageous individual who, in 1985, very articulately spelled out the relationship of Islam and the West from a historical perspective that remains as a legacy to the events and mass media coverage that have followed since. Rest in peace, my gallant global troubadour. About the author: Mo Tejani, a regular contributor to Simerg, passed away on New Year’s Day in 2013. Born in Tanzania to Indian parents, Mo Tejani lived in Uganda for eighteen years of his life. Along with 80,000 other Asians, he and his family were forced to flee Idi Amin’s reign of terror in 1972. As a refugee, he first fled to England and then to America of the late sixties and early seventies. Fluent in eight languages, he has spent twenty years working in refugee camps in Asia, training rural farmers in Central America, educating First Nation tribes in Canada, and coordinating poverty reduction projects in Africa. In the first of his three-volume travel memoirs, A Chameleon’s Tale: True Stories of a Global Refugee, (PEN New York book award finalist 2007) Tejani takes the reader with him on his globetrotting travels. Kate Webb from API calls him a “cross-cultural Kerouac,” and others have likened Tejani’s writings to Karen Connolly and Paul Theroux. Travel writer Tim Cahill says reading Mo’s stories “is like eating popcorn: you can’t stop devouring them.” Three of his stories in the second volume Global Crossroads: Memoirs of a Travel Junkie have won prestigious awards in the US. Tejani was a veteran at Writers Festivals on the Asia circuit including a month long book tour of Australia, presentations at Bali, Byron bay and Melbourne Festivals. His radio and print interview with ABC and Victoria Writers magazine were distributed nationwide and his videotaped panel sessions can be found on ABC 2 Big Ideas website. He spent the latter years of his life in Chiang Mai, Thailand. 1. Prince Sadruddin’s lecture, Islam and the West, referenced in Tejani’s letter can be read at: http://www.wpct.co.uk/lectures/1985.htm. For details about the thank you series and how you can contribute to it please click: Thanking Ismaili Historical Figures. An example of the wonderful work done by members of His Highness the Agakhan’s family – an example worth being emulated leaders all around the world, who should serve their constituents well. I’m writing to let you know that the unabridged, fully-illustrated version of The Rose-Tinted Menagerie — A History of Animals in Entertainment, has just been republished by Iridescent as an Amazon ebook. The edition contains 47 colour and b/w illustrations, and, like the original, features introductions by Prince Sadruddin Aga Khan and Dr Desmond Morris. I am attaching a PDF press release for further information — please feel free to forward it to anyone you think might be interested! While some establishments featured in the book have since shut their doors forever — such as the infamous dolphin ‘striptease’ revue at the Moulin Rouge in Paris — as fading snapshots of the human-animal relationship in history, I think you’ll agree that they remain as haunting as ever. Tragically, elsewhere, the contemporary parallels remain all too evident, from the brutal capture of dolphins in Japan, to the sordid travelling dolphin shows currently playing to packed audiences of tourists and locals in the Far East. These animal exploitation issues that so blight civilisation were, as you know, very close to Prince Sadruddin’s heart, and he fought long and hard to instil in humans a greater awareness and compassion for all living things. His advice and assistance also proved instrumental in the publication of the first edition of The Rose-Tinted Menagerie, back in 1990. ** Tip: Those with monochrome e-ink Kindle models, can also use these apps to view the book’s photos in colour. He has so much to be proud about, with his global vision; in a way late Prince Sadruddin and some others who didn’t restrict themselves to help any one culture, community or faith are rare, frontierless. I thank the Editor, Abdul Malik for bringing such a person to us and broadening our minds to Allah’s vast creation of a variety of Human Beings we share this earth with! Happy reading ! ..shantih, Mohezin. Looking at the vast knowledge Moezin Tejani has given us on late Prince Sadruddin’s global task and contribution with his not-so-easy role as United Nations High Commissioner of Refugees for the longest period, of over a decade, I feel very humble by this Letter of Thanks. By sheer envy and colonialism United States and Britain were disappointed by Prince Sadruddin’s re-appointment in 1991 for his wish to boost help to Iraq, he reminds us. I remember the first attack on Iraq that year and now understand why this was so. It is no wonder that in 2003 Iraq was invaded once again, this time without the mandate of UN. Since that time there has not been lasting Peace there. Prince Sadruddin had carried out his role selflessly and without favouring European against Third World Refugees. We can take ever-lasting pride in having known of his noble work for the whole world during the entire period of his Office. The writer of this Thank You Letter, Mo Tejani is also giving us further information about late Prince in the field of Islamic Art and Culture and preservation of earth’s Natural resources. Thank you Editor, for giving us so much to chew over, this Historical figure, of late Prince Sadruddin ‘A Man of Multiple Vision’ giving us a glimpse of dedication of Mr Tejani’s work as well. Thank you; with this expression of your gratitude you have reminded us of those who, through their lives of thoughtfulness and charity, give us hope in the world–both by who they are, and the fact that such kindness still has power. Nice. It has inspired me to write my personal thank you letter to the Prince for coming to the rescue of people of “undetermined nationality” among the Uganda Asians in 1972. At UN, World Politics could not understand the caliber of Prince Sadruddin or were too afraid that he would bring peace and common sense to this world. But his collection of Islamic Art will be a legacy to be remembered for ever by all.